NYSPRA is excited to announce the results of the 2019 Executive Board election. Congratulations to the following individuals! These officers will assume their positions on May 1, 2019. Steve will serve for two years as vice president/president-elect and then assume the role of NYSPRA president on May 1, 2021. Patricia and Natalia will each serve a two-year term, from May 1, 2019-April 30, 2021. Thank you for voting! We look forward to continuing NYSPRA's growth and offerings for our members. The New York School Public Relations Association is announcing a call for candidates for its executive board. There are three positions on the executive board up for election for two-year terms beginning May 1, 2019. The positions are: Vice President/President Elect, Treasurer and Secretary. Information about our current officers can be found here. Contact Adrienne Leon, APR, at adrienne.leon@neric.org or 518-464-3960 with questions. Should you decide to become a candidate for one of these positions, please send your name, position sought, headshot and a brief bio to Monica Lester, Communications Coordinator, by March 27, 2019, at monica.lester@nyspra.org. The election will occur by online balloting between April 8-12, 2019. Vice President/President Elect – Performs all duties of the President in the event of the inability of the president to act; assists with the membership function; and assumes the office of president (2-year term) following completion of a term as president-elect (2-year term). Collaborates as an administrator for NYSPRA’s Facebook page and discussion group. S/he shall attend NYSPRA meetings, events and conference whenever possible. S/he shall be a member of the National School Public Relations Association. Remains on the board for two years after serving as president in the role of immediate past president. Treasurer – Keeps cash flow records using the fiscal year set by the National School Public Relations Association (NSPRA); prepares/provides any financial statements required by NSPRA and upon request of the Executive Board or membership; files appropriate information to IRS; receives and deposits revenues and disburse Chapter funds as approved by the president. The treasurer also handles financial duties related to the annual communications contest, conference and membership drive (i.e., collects all fees/dues; issues invoices for purchase orders; disburses funds for services). S/he shall attend NYSPRA meetings, events and conference whenever possible. S/he shall be a member of the National School Public Relations Association. Secretary – Records and distributes meeting minutes; keeps records of meetings and may assist in handling Chapter correspondence and serves as a back-up administrator for NYSPRA’s Facebook page and discussion group. S/he shall attend NYSPRA meetings, events and conference whenever possible. S/he shall be a member of the National School Public Relations Association. The NYSPRA Business Meeting Agenda for the March 24, 2019, meeting is now available. The meeting will be held at the Doubletree by Hilton Syracuse from 11 a.m. – 12 p.m. Registration is now open for our 2019 Spring Conference! The conference will be held from March 24-25, 2019, in Syracuse. Find a schedule, registration information and hotel information here. In the meantime, we're thrilled to announce that our Sunday night keynote speaker will be Susan Enfield, Ed.D., superintendent of Highline Public Schools in Washington, and vice president-at-large on the National School Public Relations Association executive board. KEYNOTE | SUNDAY, MARCH 24, 6 P.M.
Susan Enfield, Ed.D, is superintendent of Highline Public Schools in Burien, Washington, a culturally diverse urban district in the Seattle metropolitan area, serving nearly 20,000 students and their families, including a large immigrant population representing close to 100 languages. A former high school teacher, Dr. Enfield served as chief academic officer and then interim superintendent for Seattle Public Schools before joining Highline in 2012. She is also a vice president at large on the executive board of the National School Public Relations Association. Conference registration will open shortly. 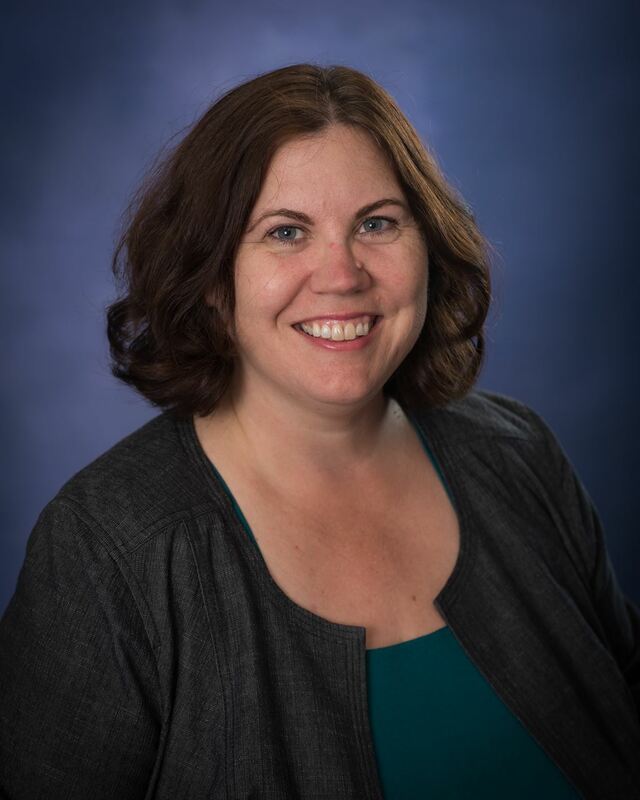 The New York School Public Relations Association (NYSPRA) is pleased to announce that Angela Marshall, public information officer at Nassau BOCES, has been named the 2018 Communicator of the Year. Marshall lives in Oceanside, N.Y. The Communicator of the Year award, which is being awarded for the third year, is meant to recognize school communications professionals who demonstrate a commitment to strengthening relationships between public schools and the students, families and communities they serve. The award honors those who recognize that communication and public relations are a critical component of school leadership. Marshall leads Nassau BOCES’ Communications Office and has been involved in school communications for the past 11 years. Prior to joining Nassau BOCES, she was a communications specialist for New York Institute of Technology, a global university with multiple campuses. Marshall served as president of NYSPRA from May 2015 through May 2017. During her tenure as president, the organization hired an outside consultant to help run the day-to-day aspects of the nonprofit and moved the annual conference to a new location for the first time in more than a decade. She is currently on the NYSPRA board as the immediate past president until her term ends in May 2019. She has also been active with Long Island’s professional school communicators association. Marshall was nominated by colleague Jake Mendlinger, who works with the public relations agency Zimmerman/Edelson Inc.
“Angela is an industry leader,” Mendlinger wrote in his nomination letter, which detailed Marshall’s work throughout the past decade, including a recent Get to Know Us campaign, which has helped to change the community’s understanding of Nassau BOCES. She was chosen by a panel of judges who work in school communications outside of New York state. NYSPRA is a non-profit membership organization that serves school communications professionals and administrators in New York State. For more information, visit www.nyspra.org or follow NYSPRA on Twitter @NYSPRA. NYSPRA is excited to announce the winners of the 2018 NYSPRA Annual Communications Contest! One-hundred and ninety-four awards will be presented for excellence in school communications work across New York state. More than 40 communications professionals from across the country served as judges to evaluate the 511 entries. Winning work is recognized with the designations of "Excellence," "Honor" and "Merit." View the 2018 award winners here. NYSPRA will hold an annual meeting during the New York State School Boards convention. The meeting will be held Friday, Oct. 26, 2018, from 11:15 a.m. to 12:45 p.m. at the Sheraton New York Times Square Hotel, 811 7th Ave., W. 53rd St., N.Y. 10019. The meeting will be held in the Broadway Room.